This museum was re-opened in March after a substantial revamp. Last Friday we were privileged to have a private tour led by curator Jennifer Adam. The whole business was fascinating with a massive array of artifacts to Mammon. We only had an hour before the doors were opened to the public, so I’ll definitely go back for a more substantial look, I’d suggest it needs a good several hours. Here’s a piece of trivia. When the currency was decimalised in 1971, the ten bob note was to be continued as a 50p note, but the idea was scotched at the last minute. And whose head was going to appear on it? Sir Walter Raleigh. Our visit to the Bank of England Museum on Friday was fascinating. We were straight away talking about the beautiful floor mosaics and then Jenifer Adam introduced herself to us as our host – we saw the structure of the building in model form, which showed the complexity of the various extensions and the way expense was not spared to reflect the national importance of this world famous financial hub. We were expertly shepherded from room to room, seeing beautifully presented displays from early history, displays from the vaults (no you are not allowed to view the gold down below), a clever hands on ‘ship’ designed to involve youngsters, bank notes ancient to modern (we all remembered the ten shilling note) and a sprinkle of the famous people who just popped in to exchange their money, including Handel! It’s always a delight to listen to such a passionately interested, devoted expert, and Jennifer Adam did us proud- so much to see (I nearly forgot that we were all able to pick up the gold bar, which today was worth £360000+ (but you wouldn’t get far with it- it’s encased except for room to slide your hand in) so I’ll have to go back again as soon as I can. 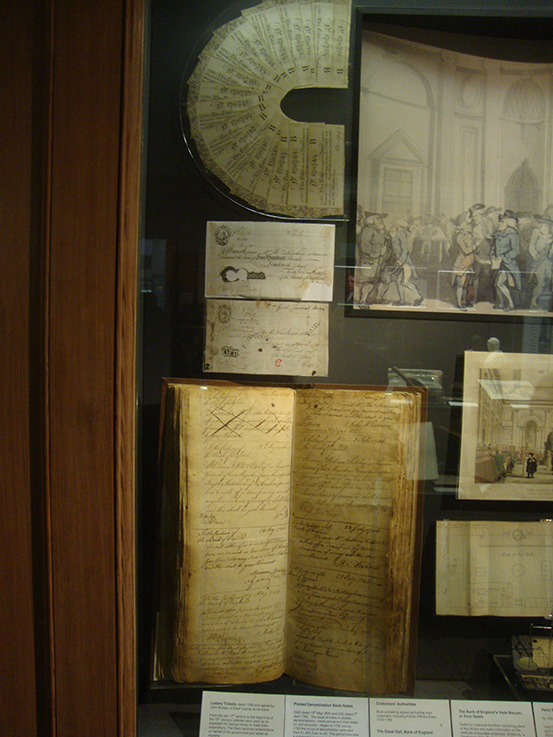 Charters from the 17C establishing not only the Bank, but the National Debt. Lottery tickets, early bank notes and a book listing customer authorities. 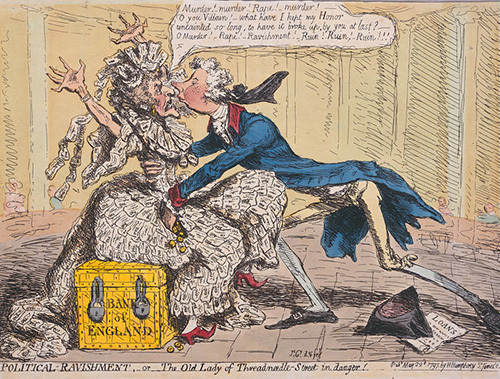 The Old Lady of Threadneedle Street, first coined by the cartoonist James Gillray in 1797. The bank being ravished by William Pitt the Younger. Where you have Gillray you must have Cruickshank. 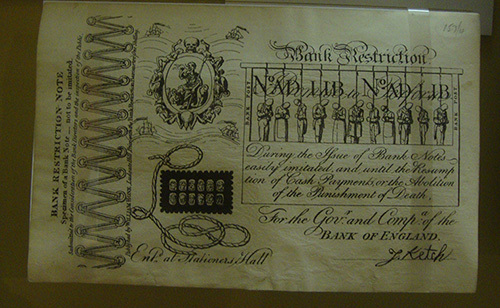 Satirical banknote, protesting the hundreds of executions of forgers. Pitt the Younger. 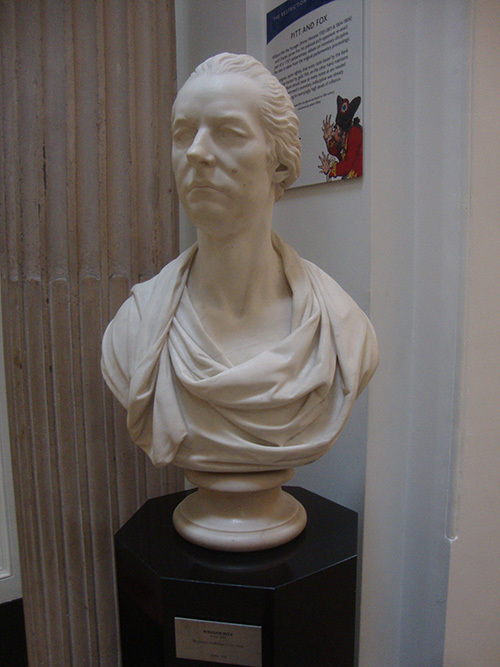 There is much statuary throughout the bank and the museum, notably of William III who was on the throne when the bank was founded in 1694. 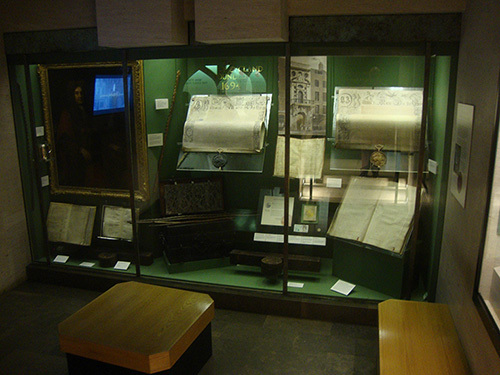 The Bank of England Museum is open from 10 am to 5 pm Monday to Friday. Entrance is free. 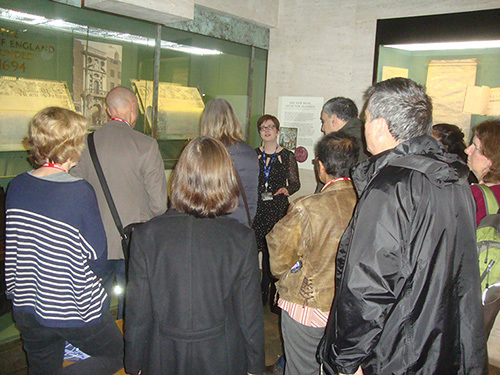 London Historians frequently organises behind the scenes group visits which are mostly for Members only.